Waller County wins fight to keep courthouse gun ban. Maybe. A district court judge in Waller County says it can ban guns at its courthouse, but Attorney General Ken Paxton is trying to convince another court in Travis County to disagree. Waller County can continue banning guns at its courthouse, state district court Judge Albert McCaig Jr. decided Monday in a ruling that leaves unsettled what will happen now with a lawsuit filed in Travis County over the same question. The issue centers on a provision of Texas' open carry law, which took effect in January. The law, which allows Texans with licenses to openly carry handguns, has an exemption prohibiting firearms "on the premises of any government court or offices utilized by the court," unless a written regulation or the individual court authorizes it. 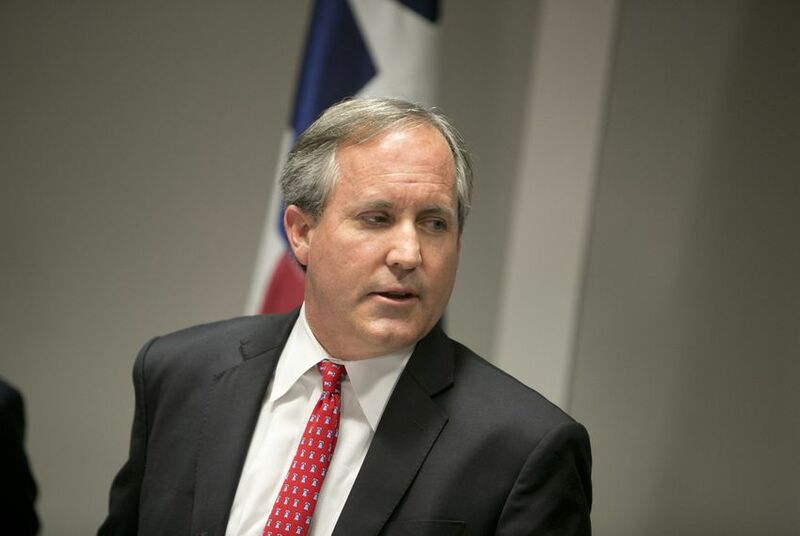 Attorney General Ken Paxton and numerous local governments disagree over what qualifies for the exemption. Local officials have argued that if any part of a government building is used by a court, all of the building is exempt. Paxton's office has said the ban only applies to spaces used by courts. In May, Terry Holcomb Sr. saw a sign in May prohibiting guns on the premises of the Waller County Courthouse and challenged the sign's existence. Holcomb's group, Texas Carry, has fought dozens of county governments over firearm bans in buildings that house court and non-court-related offices. Waller County sued Holcomb, the founder and executive director of the gun rights group, to settle the issue in the local district court. Holcomb later sent a complaint to Paxton's office, which filed suit against Waller County in state district court in Travis County to rule on the issue. That case remains open. Paxton sued Waller County over its ban on guns at its courthouse. The suit, filed in district court in Travis County, centers on a provision of Texas' new open carry law. Paxton sued the city of Austin in Travis County district court, trying to force the city to comply with his reading of the state's open carry law and let license holders openly carry handguns in city hall. Six months into open carry in Texas, gun owners seemed to have the most complaints.